JPMorgan has been slugged with yet another big fine as it works to mop up the mess created by the London Whale trading scandal. The bank will pay $100 million to the U.S. Commodity Futures Trading Commission, conceding "reckless" behavior led to the trading debacle that generated about $6 billion in losses. Former London-based JPMorgan (JPM) trader Bruno Iksil, whose team is thought to be responsible for the complex derivatives bet, was nicknamed the "London Whale" due to the massive trading position. The CFTC said in a statement Wednesday that by selling a staggering volume of these swaps in a concentrated period, the bank "recklessly disregarded the fundamental precept on which market participants rely, that prices are established based on legitimate forces of supply and demand." It's the latest in a series of financial blows to hit the bank. 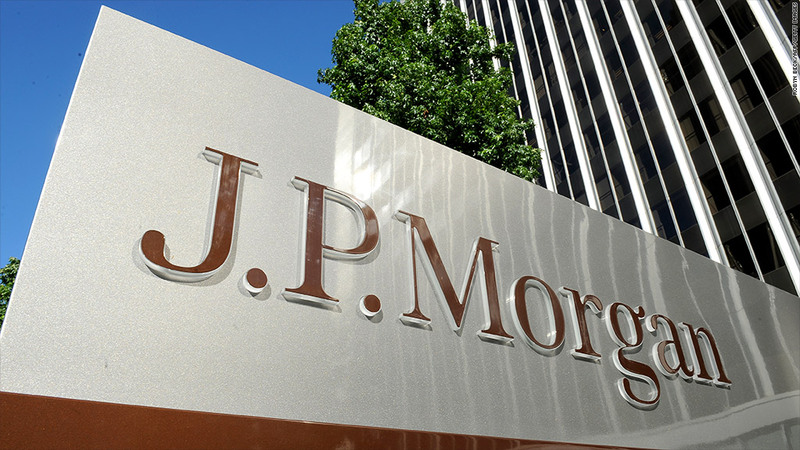 The most recent penalty relates to trading behavior, while earlier fines have punished JPMorgan for failing to maintain proper governance practices. Last month, the investment bank agreed to pay about $920 million in penalties to U.S. and U.K. regulators to settle charges over the London Whale trades. Through those fines, the bank acknowledged that it violated banking rules by not properly overseeing its trading operations. In legal language, regulators said that the bank engaged in "unsafe and unsound practices." The bank is also wrestling with authorities over a possible settlement of government investigations related to mortgage-backed securities. Chief executive Jamie Dimon met with Attorney General Eric Holder in Washington last month to discuss a potential deal thought to be valued $11 billion. Mortgage-backed securities became a key cause of the financial crisis when they failed in droves as the housing market collapsed. JPMorgan is one of several large lenders that have faced lawsuits for allegedly selling securities backed by risky, low-quality mortgages while misrepresenting them as safe investments. All these legal woes are hurting earnings. The bank's sky-high legal costs led to a loss of $400 million during the third quarter, the first loss since Jamie Dimon took over as CEO in 2004.